Services - Bob Dean Supply, Inc.
Bob Dean Supply was originally founded in 1947 as a machine and welding shop. 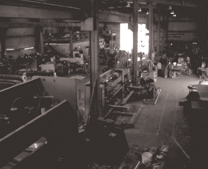 Over the last 65 years, we have expanded to include a wider range of shop services and capabilities. Our scope of work includes custom designed conveyor systems, all types of metal tanks, and large scale power transmission installations for recycling facilities. Bob Dean Supply has over 20,000 square feet of workspace with a 6 ton overhead bridge crane. Our facilities house a boring mill, lathes up to 36" swing, our new "Big Bore" lathe, CNC milling and turning machines, a gas and plasma cutter, a Water-Jet cutter, and a hydralic roller. 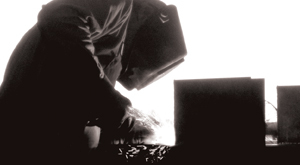 We have twelve welders with Heli-Arc and MIG capabilities for aluminum and stainless steel. Please see below for specific shop capabilities. Bob Dean Supply's pump repair department has one of the best reputations in Southwest Florida. We have skilled pump mechanics and expert field technicians on staff that are ready to assist you with even the most complicated jobs. We specialize in the removal, repair, and reinstallation of all brands of vertical turbine pumps. Bob Dean Supply can repair or rewind electric motors up to 500HP, vertical or horizontal type. Warranties are provded on all motor work for one year from date of repair. We use Nomex Class F insulation and epoxy varnish. We are a warranty facility for BALDOR, US Motor, and WEG. Special Orders for non-account holders require a 50% deposit. All jobs require finalized drawings and quotation with authorized signature from customer's representative. Bob Dean Supply, Inc. accepts payment via Visa, MasterCard, American Express, Cash, and Business Check. We do not accept Personal Checks. Open House Credit Accounts are available upon approved credit. Payment Terms for Credit Accounts is thirty (30) days net on open credit accounts less 1%. 1% discount 15 days of net 30. Quotations are subject to prompt acceptance by our Customer. Bob Dean Supply reserves the right to correct typographic errors and to reject orders if credit is found to be unsatisfactory. Prices quoted do not include applicable taxes or freight charges. If there is an error or problem with your order. please notify us as promptly as possible so that we can correct the error to your satisfaction.